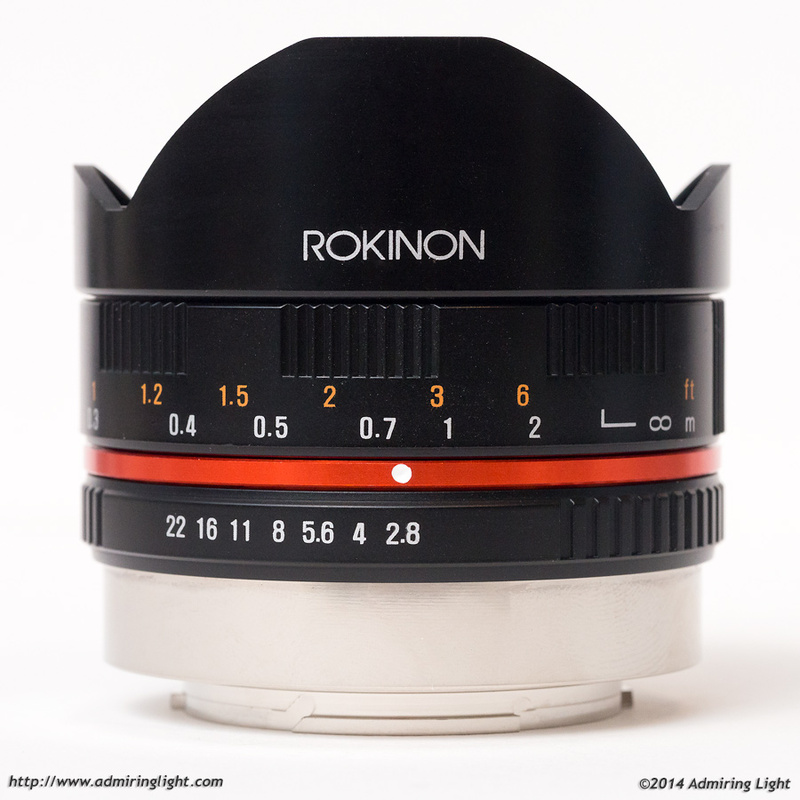 Rokinon is one of the many brand names that has been around for a while, though they don’t make their own lenses. Today, they serve almost exclusively as a rebadger for Samyang optics. Other brand names for Samyang lenses include Bower, Falcon, Pro-Optic and (sometimes) Vivitar. Samyang has made some waves in the industry as of late for releasing lenses that are all manual, but very reasonably priced and most importantly: very good. I’ve been an owner of the (Rokinon branded) Samyang 85mm f/1.4 for several years, and it continues to be one of the best values in all of photography: a brilliant super-fast 85mm lens that is sharp wide open and has utterly fantastic bokeh…all for less than $300. 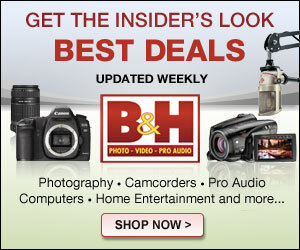 Additionally, they’ve got a 35mm f/1.4, 24mm f/1.4, 24mm tilt-shift, 14mm f/2.8 and so on in a variety of lens mounts. Today I’m taking a look at one of Samyang’s only lenses that was designed from the get-go for use on mirrorless cameras: the 8mm f/2.8 fisheye (Rokinon Branded). This lens is tiny and inexpensive for a fisheye at around $329, which makes it much more palatable for most people, especially as a fisheye is somewhat of a specialty lens for use in certain situations, rather than a lens you use all the time. The Rokinon 8mm f/2.8 fisheye is a so-called ‘full frame’ fisheye. In this case, full frame is not referring to the sensor format, but rather the fact that it fills the image frame with the image. Fisheyes are known for their uncorrected curving distortion, but what makes a fisheye useful is its extreme angle of view. The 8mm fisheye is by far the widest lens available for the Fujifilm X-Mount, with a 180 degree angle of view across the diagonal. The Rokinon 8mm f/2.8 fisheye is a very small lens – in fact, aside from a few pancake lenses, it’s one of the smallest lenses I’ve ever used. It’s essentially the same diameter as the Fuji X-mount and only around 2 inches long. It weighs a little more than it looks like it should, but it’s hardly heavy at 217g. The lens is constructed with plastic focus and aperture rings with a metal base. Overall build quality is so-so. It feels solid in the hand, but you can tell they’ve cut a few corners to keep the price down. The built-in lens hood has a very soft plastic coating on it that scuffs extremely easily, such that after only a few weeks of use, the lens cap (which fits over the hood and locks in place) had left many scuffs and scratches on the outside of the lens body. I will say I had to try a few different copies of the 8mm. The first one I tried was massively decentered, causing the lens to act as if it were a tilt lens, with the plane of focus dramatically tilted to the right…essentially making it impossible to have the right side of the image in focus with the rest of the image. My current one is slightly softer on the right side than the left, but is overall fine. Just know that the quality control for Samyang isn’t quite as tight as it is with other manufacturers. The lens aperture works in 1/2 stop increments and features positive click stops that are difficult to accidentally dislodge. The focus ring is well-damped, but a little stiff. Of course this works to your advantage given the best way to focus the 8mm fisheye. 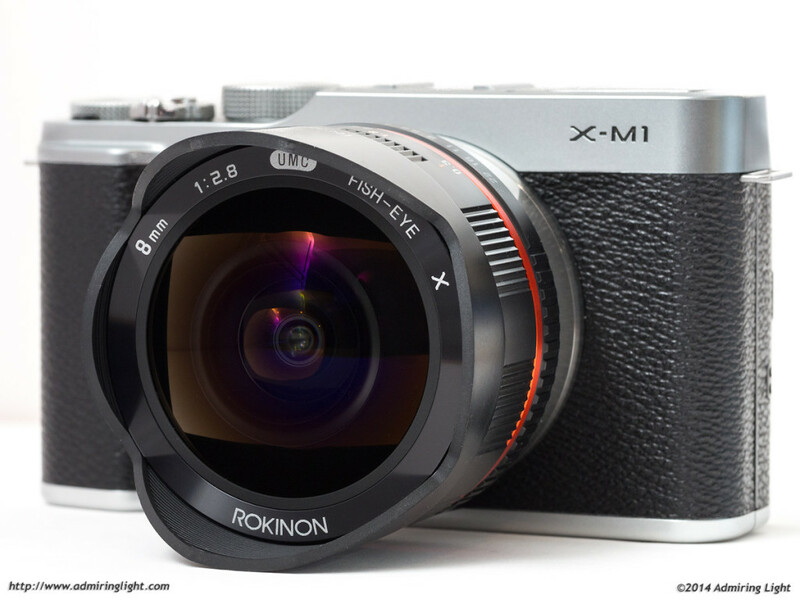 The Rokinon 8mm is a fully manual lens, which means you need to stop down prior to taking the photo and all focusing is done manually. Luckily, on an EVF camera like the Fuji X cameras, there is no issue keeping the lens stopped down, and second, since the lens features such an extreme angle of view, depth of field is extremely deep as well. For the vast majority of shooting, I simply set the lens to f/5.6-f/11 (depending on how much light or stability I have) and I set the focus to around 2 meters. This puts everything in the frame from approximately 1 meter to infinity in focus. I don’t touch the focus ring unless I need to focus on something close up, and then I use magnified live view at closer focus distances to get focus right on. Don’t you mean “distorts spheric objects into ovals.” ? No, I did not. Since both spherical and circular objects will project to a circle in 2D space, circular is the more appropriate and encompassing term. Circle are projected into ovals if the tow planes (the circle and the camera sensor) are not parallel. After using one of these for several months now, I’m always amazed at how little distortion there actually is until you get out near the edges. Keeping the camera as level as possible yields an image that is more like shooting with a super wide..especially with a little processing. This adds to the value…makes that $300+ seem like an even better investment. Of course, a little out of square and this falls apart, but nice to have the option.